Meanwhile I enjoy the two Labradors that I am working with at the moment. I train my dogs mainly for field trials and enjoy very much to do the work that they are really bread for. The hunting season means picking-up time for me and my dogs. 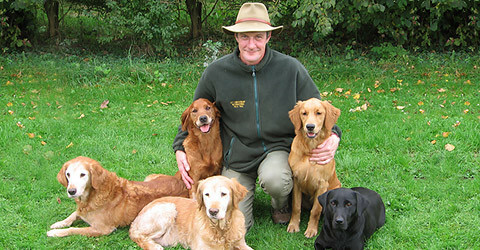 Over the years I managed to make up four FT champions (three Goldens an one Labrador). But winning the Belgian Retriever Championships four times in succession stays the most unforgettable experience.